Laurie Grealish﻿ has been a key driver for the planning and delivery of writing weeks at the University of Canberra particularly in the Faculty of Health. 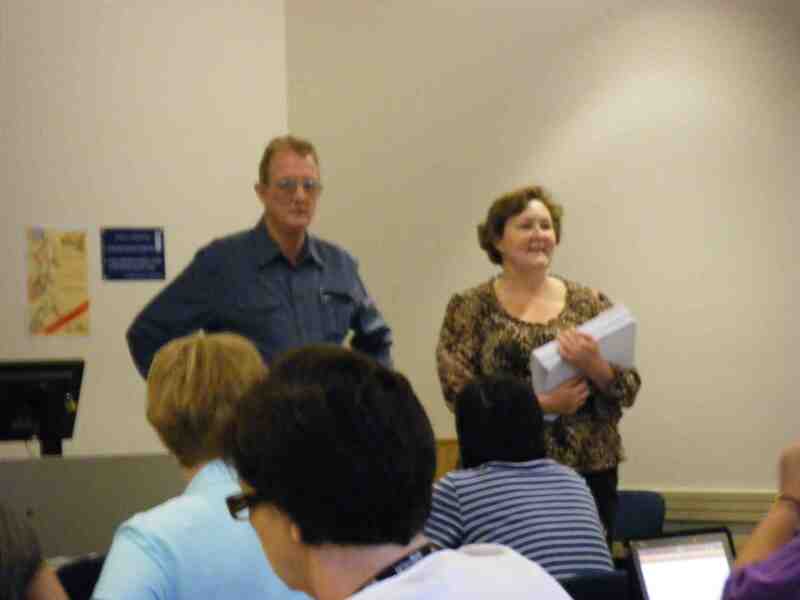 Today she introduced Robert Brown as the facilitator of a writing workshop to launch the Faculty of Health’s 2010 writing week. This is a full day workshop given by a distinguished researcher and publisher of material, Dr Robert Brown. 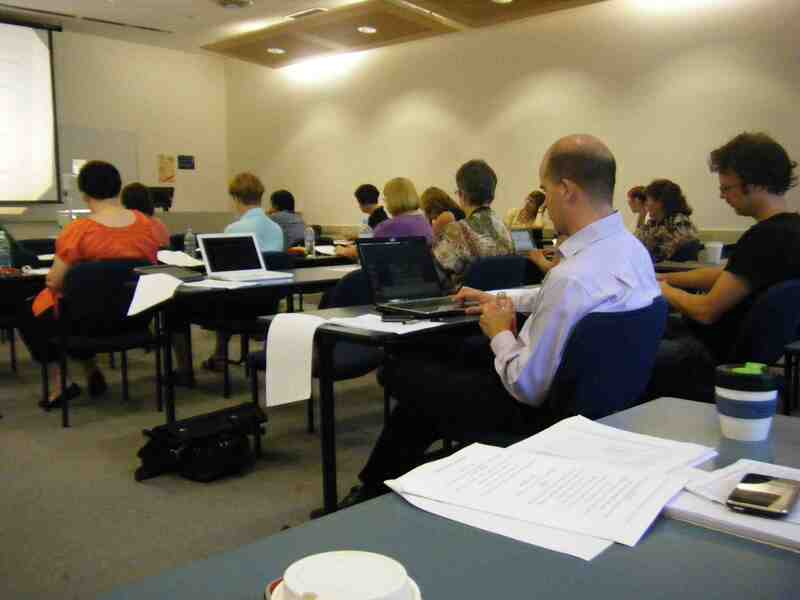 He is a prominent consultant who conducts workshops for many different organisations around Australia on writing well in order to get your research published. Don’t let your research be wasted! Many journal articles are rejected because they are poorly written. Likewise, many published articles go unread and uncited because they are poorly written. This seminar will show you how to avoid those outcomes. It covers issues such as writing an abstract, choosing a title, the key ingredients of any good journal article and writing clearly and coherently. Learn how to analyse your manuscript to ensure that your message comes across clearly. 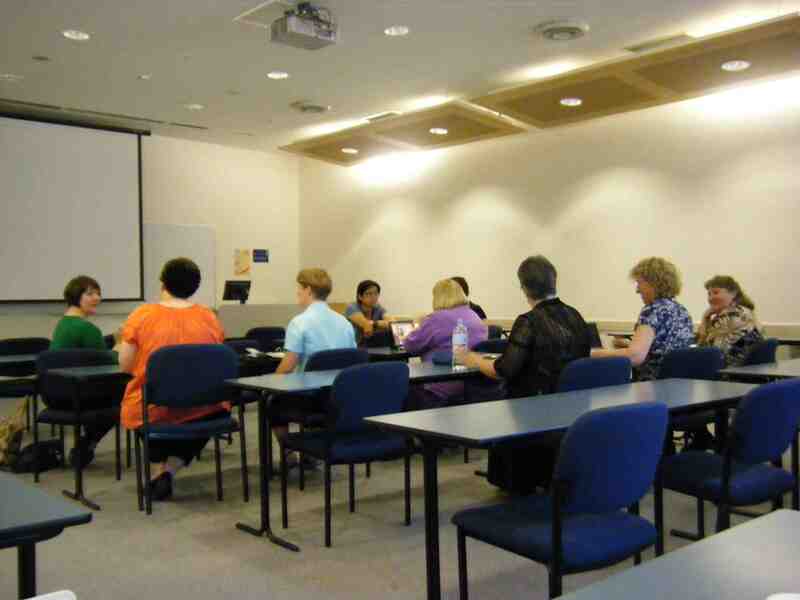 This seminar caters for both beginners and more experienced writers. The main emphasis is on journal articles but the principles are easily transferred to theses, grant applications, and most other scholarly works. 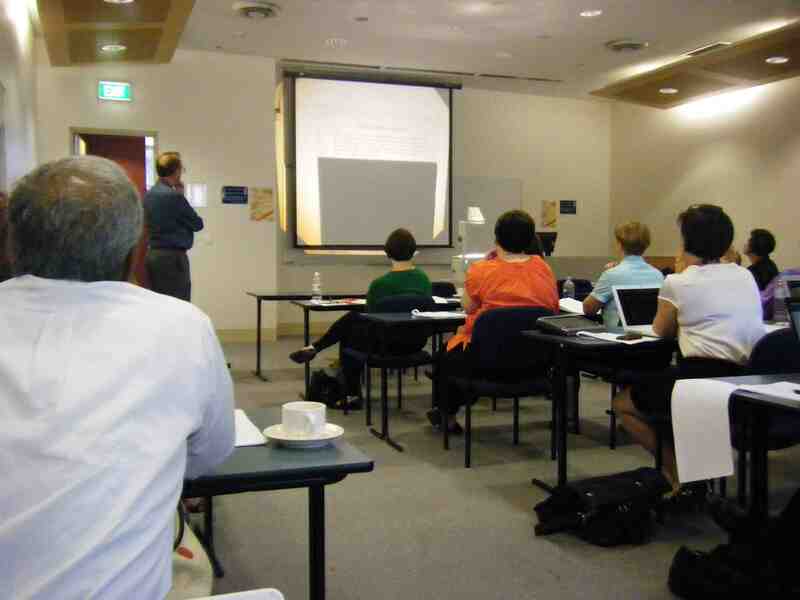 In his workshop at Canberra, Robert introduced an Author’s Toolkit that included general and specific tools. In his handout material Robert asserts his copyright of this Toolkit. I make explicit mention and acknowledgement of his copyright here. I liked Robert’s discussion of writing a paper as “intellectually streaking”. 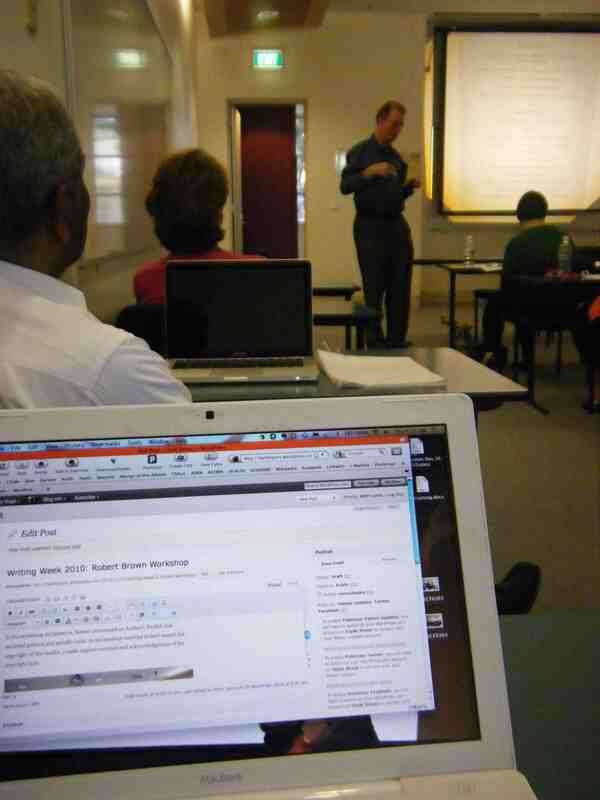 I liked too his discussion of three digit writing output per day (c. 200-250 words). He explored how each author might manage their writing time and considered how one might produce four digit output per day. Robert looked at Specific Tools in the second part of his introduction. He argued that 50 words can summarise the ‘guts of the paper’ and the remaining words available are ‘proof’. Questions and Answers (two sorts of questions, closed and open. Iterate from closed to open questions when possible. Ensure that answer does answer the question! Make aims of research explicit so that they can be answered.) Clear answer to clear question can be framed at the end of the research (20/20 hindsight) and select the question to lead the paper. IMRaD: Introduction (what? why? research question and answer); Methods (what yo need to know about how I went about it); Results (here is the relevant evidence, data); and Discussion (here is how the results answer the question). Robert indicated that reading papers can focus on the IMRaD process as well as the content. Reverse engineer your text: write a summary of what each paragraph will say. What is the overall point being made? Introductions and Discussion are three or four points each, make your moves! Settle out the simplicity of your question and answer. Work back through the text to confirm the clarity of argument. Two step approach to document: summary and expansion. Title (20 words), abstract (250), text, headings, sub-headings (6-8). Make use of sub-headings to guide the reader. Use of Figures and Tables (200 words available) as a text advantage. Strategic repetition: macro and micro patterning. Be very cautious about repetition. At a macro level, repeat the sense of what is being said not the same words. Avoid saying something only once. The title of the paper is the destination, it is available in the abstract, it is included in the introduction where there is a question and an answer, the discussion is a reminder about the journey and there are places in the results and methods to keep a reader involved and on track. At the micro level you are involved in comparison as an author. Readers pick up on the sequence of words and start to work on text and argument. 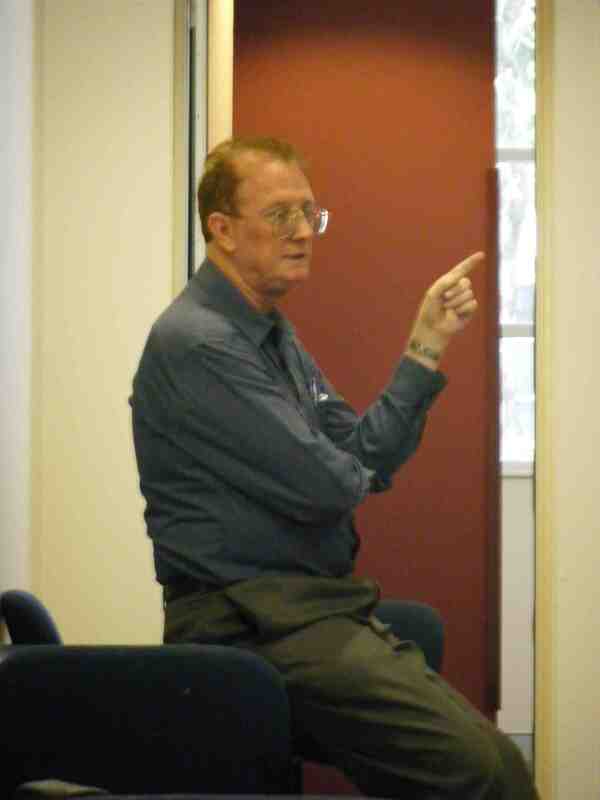 Robert provided examples of legs in an argument as the patterns provided for readers. Robert discussed the nesting of ideas and parallelism. Eliminate a ‘table of contents’: authors establish in a table of contents an agenda for delivery (and then do not deliver). Robert advocated outcomes in the title of a paper and an abstract. He exemplified this approach with reference to Landes’ (1951) Scrutiny of the Abstract. Give every sentence an obvious link: sentences are linear freight trains! Wagons contain goods, locomotives are delivery systems. In a sentence a reader is guided as to how the information fits in. The writer adjusts throughout text. Sentences position and guide a reader to understand ‘how does this sentence fit in to the argument?’. Robert discussed the power of putting authorities in brackets in a text rather than leading directly with authorities. Weed out redundant/implicit information: unless you signal to the contrary (… in summary, … therefore) readers will assume they are receiving new information. This raises important issues about disclosure … would the reader assume and understand? Learn to count adjectives and potential adjectives: the English language has similar spellings for nouns, verbs and adjectives. A dilemma is that adjectives can refer to a noun or another adjective. A reader has to work through combinations of possibilities. Two adjectives together are acceptable (depending on the similarity of either to an adjective to a noun). Three adjectives together are questionable, and four not recommended. A writer can use – (hyphen) to lock words together or, alternatively, make extra phrases. Do not play hide and seek with verbs: Robert noted the importance of a verb in a sentence (avoiding a verb becoming a noun, avoiding the separation of subject and verb). Readers are looking for continuity: actor, action relationship helps a reader (‘the guts of a sentence’). Robert encourages writers to make the real verb as easy as possible to find. Use no secret codes: be cautious about the use of acronyms in a text. If you are certain that all your audience will understand the acronym then use it … otherwise exercise extreme caution. The morning session ended at 12.40 for lunch … and extended discussion.